With a direct view from the conference table to Lake Chiemsee, the island of Fraueninsel and the mountains – it is hard to find a better place for a conference. 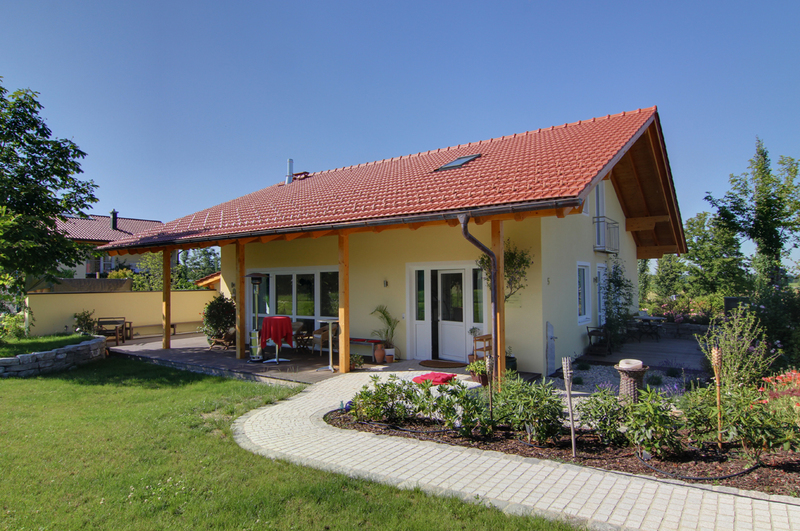 Take advantage of one of the most attractive locations in Upper Bavaria for your project, because peace and relaxation are reliable success factors, especially in stressful and troubled times. But not only the ambiance and the atmosphere, but also the technical infrastructure is right: a professional seminar room supports concentrated work, leaving time and space for the enjoyment of life. 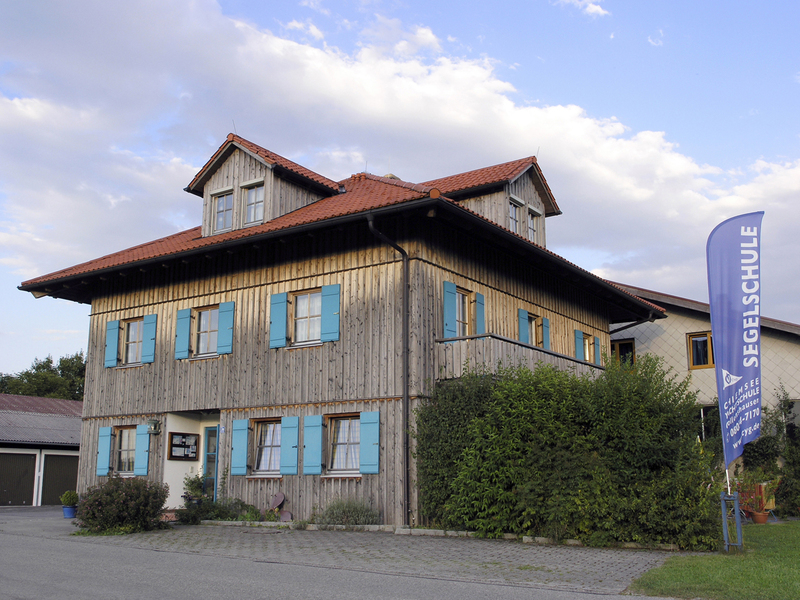 Our tourist info in Gstadt is also located in the „Haus des Gastes“ at Seeplatz No.5. The Convent has various offers: from courses for contemplation and reflection, art and movement, seminars for cardiac patients, to development training of organizations and international congresses. 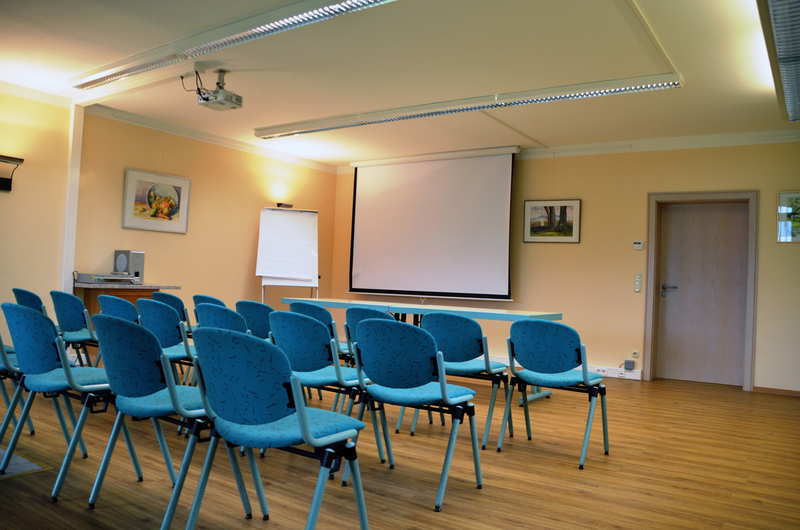 There are well equipped seminar rooms for groups of different sizes available. Catering can be provided for seminar guests, but self-catering is also possible. Or visit the Klosterwirt, which is not only catering for seminars, but also for events and festive entertainment. Rental fees in the "Haus des Gastes"
The basic cleaning and disposal of standard waste are included in the rent. Additional cleaning work will be charged extra. For your understanding, we state that from 2017, we will issue and / or revoke the keys according to our opening hours, after the transfer of the rental space has taken place. In the future, we also request a deposit of € 200 in cash, which will be reimbursed after the handover of the premises. The building of the Chiemsee Sailing School in Gollenshausen is ideal for groups of up to 30 people and only a few minutes away from the lake. 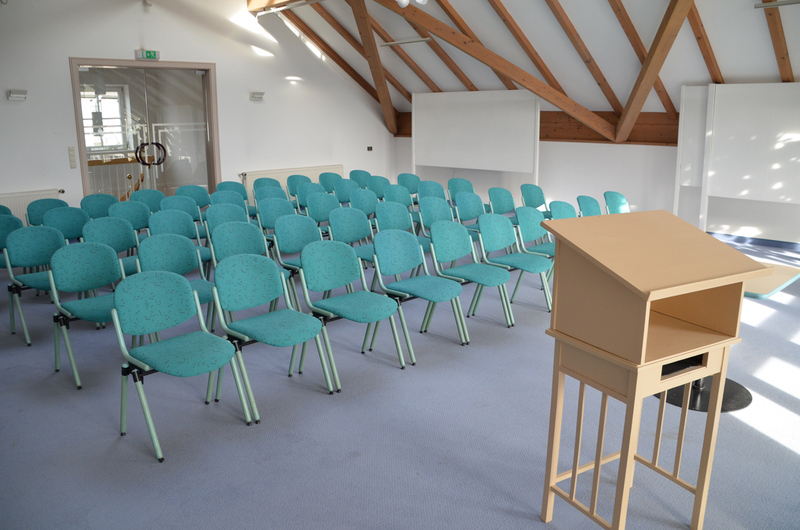 It can be booked off-season for seminars, workshops or meetings of any kind and self-catering is possible. There are 30 beds in 7 rooms, a double room, as well as 6 rooms each with 4 to 8 beds. There is also a group room and a seminar room, approx. 50 square meters each. Seminars for systemic constellation take place in an idyllicly located building with a beautiful atmosphere, by Kristine Alex, „Systems in Action“, „Institute for Systemic Therapy“. Topics are: body symptoms, children, locations, houses, professional and family issues. Deep consciousness processes are possible in this bright and clear atmosphere. During the breaks, the generous kitchen, a stone garden and a covered wooden veranda invite you to reflect. Issues: body symptoms, children, family, profession, companies, places, houses. Tourist information in Gstadt-Gollenshausen. You have questions about your holiday? Please contact us! accessible Public toilet in Gstadt with level disabled access. The walk along the shoreline from Gstadt is easily accessible by wheelchair. 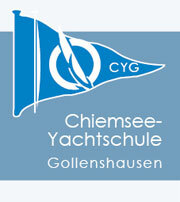 Enjoy the holiday fun of sailing: for children from 7 years, teenagers and adults. A new course starts every Monday. Abbey and museum on the island of Fraueninsel. Prayer services: Saturday 6 P.M. and Sunday 9:30 A.M.